Beginning with bonsai seedlings is an ideal way to control the training and shaping of your plant from the earliest stages. Since more mature trees already have distinct trunk and branch growth, they may require a lot of pruning and heavy training to achieve the desired result. In fact, it may not be possible to create certain bonsai styles from plants that have developed beyond a certain point. It is usually much easier to mold and shape a young seedling because you can control the growth rather than needing to change or re-train what already exists. Some people like to grow bonsai from seed because it is the least expensive option and they enjoy being involved in the process right from the beginning. However, you can expect 1-3 years before shoots reach the seedling stage. For this reason, it is often preferred to begin with a developed bonsai seedling. In essence, this will give you the best of both worlds – control over the growth and training, but with a much shorter waiting time. And, seedlings are typically less expensive than mature bonsai trees. You can plant your own seeds and wait patiently until they reach the seedling level. You can order seedlings from a bonsai catalogue and have them delivered to your door in early Spring. If there is a high enough demand in your area, you may be able to find seedlings at your local nursery or garden center. Some businesses will even order them in for you if they have connections to a supplier or carry other bonsai equipment in their store. In early Spring, you can harvest seedlings from a field, forest, or even your own garden. Choose an appropriate plant for the style you are wanting to create. For example, some species that are ideal for an informal upright style will not necessarily be suitable for a cascade design. Since seedlings are delicate, you would be best to choose a tree that is recommended for the climate or environment you will be providing. 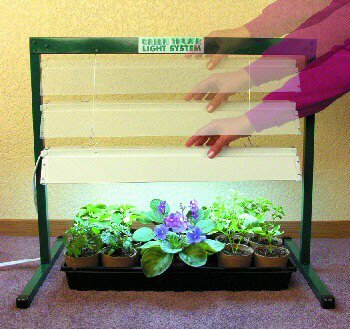 Depending on the type of tree, you may need a grow light to make sure your seedlings continue to develop until they can get enough natural sunlight or be placed outside. Choose a healthy, strong plant that will best survive transplanting or re-potting. If you are digging the seedling from a field or garden, make sure it is well-established and large enough to recover from the stress of being removed from its natural environment. Early Spring, just before active growth begins, is the best time to collect or re-plant seedlings. If the seedling is quite large, you should look at the trunk and branches for any irregularities and make sure that any bends or curves can be re-trained or shaped to suit the desired style. Examine the root system of the seedling when re-planting to ensure that it is strong and healthy. Seedlings with healthy roots and foliage will have the best chance of survival. If you are growing your bonsai from seed, once the shoots reach the seedling stage they will need to be re-planted into their own pots. Your plants will reach this stage anywhere from 1-3 years, depending on the species; however, if you can see roots showing at the bottom of the seed tray or starter container,this is a good indication that your seeedlings are ready to be transplanted. If you have ordered your seedlings from a catalogue or nursery, you must be prepared to plant them immediately after receiving them. It is important that your plants receive proper care in order to thrive and grow. When digging up a seedling from an outdoor location, extra care should be taken not to damage the root system. If the soil is dry, it is a good idea to water and wait a few minutes for the moisture to absorb. This will allow the soil to stick to the roots, and you want to make sure that there is a good-sized ball of dirt around the roots for protection. Wrap the roots in a damp cloth or piece of burlap until the seedling can be re-planted in its new home. 1. Remember that seedlings should be planted in the early Spring. 2. Prepare 6” pots, one for each seedling. Fill the pots with a good drainage mix such as sand, pearlite, or well-draining bonsai soil. 3. Use a chopstick or your finger to create a hole large enough for the seedling's root ball. 4. Carefully remove or unwrap the seedling from its container or covering and inspect the roots. One of the main goals of bonsai is to create a shallow, radial root system that will survive in smaller containers with minimal soil. You will need to cut the tap root (main root) so that it will be only about 1-2” below the soil line, being careful to leave all the fibrous (feeder) roots in tact. If the remaining tap root does not have many fibrous roots, you should use aluminum bonsai wire to make a tourniquet around the main root that will encourage feeder roots to develop above the wire. Keeping the tap root short will cause the plant to grow these fibrous side roots which will result in a radial root structure. 5. Place the root ball in the hole, cover with soil, and press down lightly, making sure there are no air pockets. 6. Water immediately. This will cause the soil to settle and remove any remaining air pockets. Add additional soil if needed. 7. Water daily, feed regularly, and make sure the seedlings are receiving the proper balance of sunlight and shade for the first year after planting. If you have cold winters, ensure that your trees are protected. If you have indoor bonsai, a grow light may be necessary; however, this may not be needed for outdoor bonsai or plants that have dormant periods. Research the care and recommendations for your particular species and climate or environment. 8. It is not usually recommended that you begin training or pruning until after about one year. Some plants, including certain varieties of pines, may need two years. When your seedlings have reached a suitable stage, you can begin wiring and training the trunks and branches to control the growth and shape. 9. When the seedlings are large enough, they can be removed from their training pot and re-planted into a bonsai container. Remember that your trees will need a recovery time after each re-potting before any pruning can be done, usually about six months for younger plants. Bonsai seedlings are an inexpensive way to grow bonsai trees; however, this method does require more time and patience than purchasing a plant that is already grown and developed. While you will not wait the 3-5 years needed when growing from seed, it will still be 1-2 years before you can begin any aggressive training and styling. But, when using bonsai seedlings you will have more control and versatility when it comes to shaping your bonsai. Keep in mind that not all seedlings survive, but if you begin from seed or order form a supplier, you will usually have many seedlings to work with, increasing the likelihood that several will survive to become full-grown plants.